China’s growth rate remains impressive, even if on the decline. 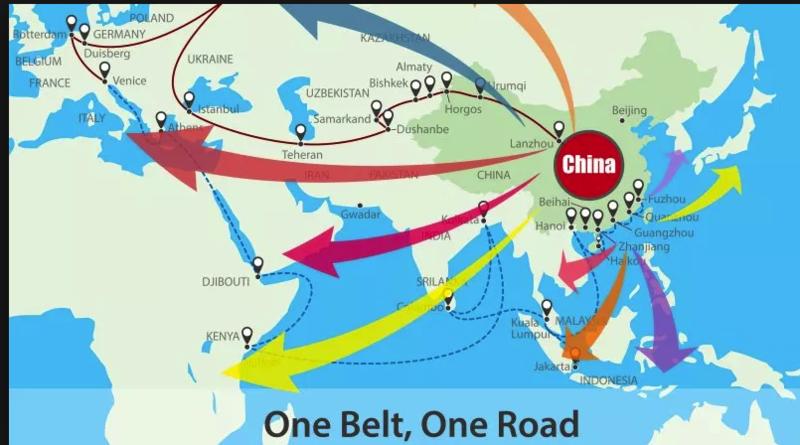 It appears that China’s leaders view their recently adopted One Belt, One Road Initiative as key to the country’s future economic vitality. However, there are reasons to believe that this strategy is seriously flawed, with working people, including in China, destined to pay a high price for its shortcomings. China grew rapidly over the decades of the 1980s, 1990s, and 2000s with production and investment increasingly powered by the country’s growing integration into regional cross-border production networks. By 2002 China had become the world’s biggest recipient of foreign direct investment and by 2009 it had overtaken Germany to become the world’s biggest exporter. Not surprisingly, the Great Recession and the decline in world trade that followed represented a major challenge (https://bit.ly/2SM2NQH) to the county’s export-oriented growth strategy. But, despite the government’s efforts, growth steadily declined, from 10.6% in 2010 to 6.7% in 2016, before registering an increase of 6.9% in 2017. See the chart below. (https://bit.ly/2GnMlAr) Current predictions (https://reut.rs/2MK109b) are for a further decline in 2018. Beginning in 2012, the Chinese government began promoting the idea of a “new normal”—centered around a target rate of growth of 6.5%. The government claimed that the benefits of this new normal growth rate would include greater stability and a more domestically-oriented growth process that would benefit Chinese workers. However, in contrast to its rhetoric, the state continued to pursue a high grow rate by promoting a massive state-supported construction boom tied to a policy of expanded urbanization. New roads, railways, airports, shopping centers, and apartment complexes were built. As might be expected, such a big construction push has left the country with excess facilities and infrastructure, highlighted by a growing number of ghost towns. The complex opened five years ago, but just three of its buildings have been sold to the city government and another is occupied by its developer, a bank and an energy company. The remaining two are empty–gates blocked and dust piled on the ground. despite strong overall growth performance, the capital return rate of the Chinese economy has started to be on a sharp decline recently. Although the results vary by different estimation methods, research in and outside China points out a recent downward trend. In other words, it was becoming increasingly unlikely (https://bit.ly/2IjKZJ0) that the Chinese state could stabilize growth pursuing its existing strategy. Since 2015, the specter of capital flight has been haunting the Chinese economy. In that year, faced with the threat of a currency devaluation and an aggressive anti-corruption campaign, investors and savers began moving their wealth out of China. The outflow was so large that the central bank was forced to spend more than $1 trillion of its foreign exchange reserves to defend the exchange rate. The Chinese government was eventually able to dam up the flow of capital out of its borders by imposing strict capital controls, and China’s balance of payments, exchange rate and foreign currency reserves have all stabilized. But even the largest dam cannot stop the rain; it can only keep water from flowing further downstream. There are now several signs that the conditions that originally led to the first massive wave of capital flight have returned. The strength of China’s capital controls might soon be put to the test.